A major suburb of Houston, TX, Spring is a refreshing respite for many residents who want a quieter neighborhood for their families. 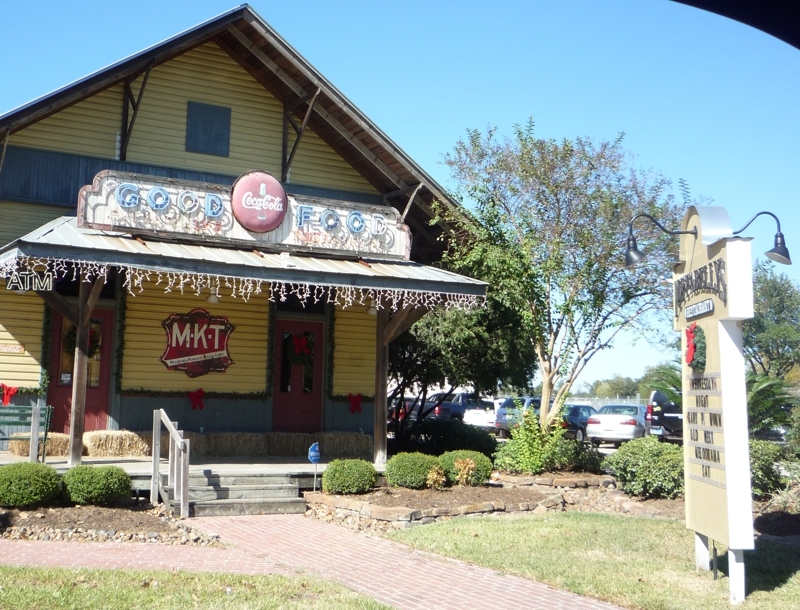 With excellent home values, restaurants, and shopping in Old Town Spring, it’s a great place to buy a home and settle down. Life is simply bigger in Texas, and nowhere is that more true than in Spring. Plus, Spring is famous for custom homes — including one with a whopping 3,000 square foot closet that rivals the size of many other homes. Many in the Houston area are learning what Spring has to offer, and as a number of firms in the area expand, housing in Spring has become incredibly popular. Exxon Mobil in particular has a campus construction that is attracting thousands to the area. Many choose to build their own homes, while others buy or sell existing homes. Plus, many new home owners have seen the value of their homes jump by thousands in just weeks or months. In the Spring real estate market, it’s essential to have a qualified, helpful Realtor by your side. We’ve identified 15 of Spring’s most excellent real estate professionals. These Realtors have experience, excellent market knowledge, and years of happy, satisfied clients. And while any one of them would be a great choice for your next real estate transaction, we want to know: which one it the best? Be sure to vote in our poll at the end of this article to let us know which Realtor is the best in Spring! Vote today, as the poll closes in 30 days! 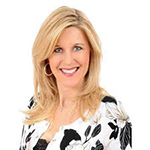 Broker and owner of Register Real Estate Advisors, Shannon Register is well known for her excellence in Spring real estate. 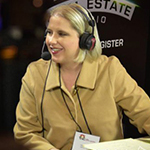 She is the founder of RREA Media, and host of the Houston Real Estate Radio airing on NewsRadio 740AM KTRH on Sunday mornings, the #1 real estate radio show in Houston and the state of Texas. Register holds a number of real estate designations and certifications, as well as leadership positions in real estate organizations. Positions include 2015 president elect of The Great Northwest Chapter of Women’s Council of Realtors, 2014 and 2015 programs chair of The Great Northwest Chapter of Women’s Council of Realtors, as well as advisory group memberships with the Houston Association of Realtors. People who have worked with Register say she takes an innovative approach to real estate and is a consummate professional with entrepreneurial execution. 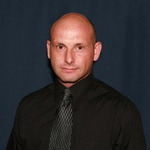 Ray Wade is broker and owner of Legacy Texas Properties. He has a passion for home ownership, and is excited to help all clients, whether they’re buying their first home or a million dollar estate. Wade is patient, tireless, and guiding for buyers in the process of finding a home. He is recognized with a number of expert real estate designations including Certified Residential Specialist, Certified Negotiation Expert, Senior Real Estate Specialist, and Texas Affordable Housing Specialist. Wade was also recognized for his community involvement, serving on a number of advisory groups with the Houston Association of Realtors. 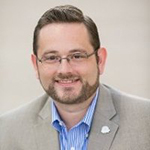 He has also been recognized as one of the Houston Association of Realtors’ 20 Under 40 Rising Stars in real estate and a five star professional in Texas Monthly magazine’s independent survey. Clients say he’s an exceptional real estate broker with excellent communication, knowledge of the market, regular updates, and ability to understand client needs and offer personal attention. 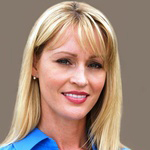 Allison Loughlin is a real estate investor turned agent. 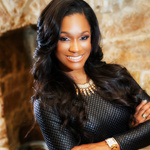 Since 2003, she has been buying, selling, and renting properties in the Northwest Houston area, and her experience in real estate investment led her to get a real estate license. Now, she helps others with real estate, assisting investors and home owners with buying and selling properties. 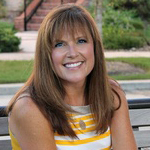 Loughlin’s clients say she is helpful and patient, and always full of great information. 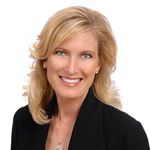 Involved in real estate since 2005, Adriane Taylor specializes in selling homes. She is a Certified Home Stager, and is an expert at making homes appealing to buyers so that they can sell quickly and for the most money. Taylor is also helpful for buyers as she works tirelessly to ensure she finds homes that meet their needs and supports them with finding the best possible price through negotiations and market expertise. Her clients are always amazed by how quickly they’re able to sell their homes, and appreciate how helpful she is as she goes the extra mile to find movers, storage units, and more. They say no task is too large or too small for her! Ximena Anderson specializes in helping her clients develop real estate strategies for retirement. As a real estate investor, Anderson supports her clients as they develop alternative ways to guarantee future income with rental income and other real estate investments. In addition to real estate investment, Anderson helps clients in the Spring and surrounding areas buy and sell homes for personal use. Anderson’s clients say she is fun and tenacious, even when dealing with difficult negotiations, and that she’s incredibly on top of communication, checking in with them every step of the way. An expert in northwest Houston home sales, Iris LaBouchardiere understands everything you need to know about the area. The market, neighborhoods, commute, schools, and more. She prides herself on making sure she keeps her clients’ best interests at heart as she listens to each family’s needs and helps them make sense of the process. LaBouchardiere’s clients love how she stands by them every step of the way, offering helpful explanations, excellent negotiation support, and can even keep things going past any bumps in the road. Ige Johnson prides herself on taking a results-driven approach to serving her clients. She offers expert guidance, excellent attention, and promises to protect her clients’ interests every step of the way. Johnson holds a number of real estate designations including Accredited Buyer’s Representative, Accredited Luxury Home Specialist, Certified Negotiation Expert, and Senior Real Estate Specialist. Her clients say she is top notch, and is always available to support them with immediate, helpful responses for a great experience whether you’re buying or selling a home. A 10 year veteran of the U.S. Air Force, Steve Holloway understands service. He makes his clients his number one priority, passionately working to ensure he meets and exceeds their needs. Holloway is involved in the Spring community, and is proud to donate 5% of his commission to the Wounded Warrior Project. Clients of Holloway’s say he is a true professional and the best real estate they’ve ever worked with. They report that he’s great about being courteous, prompt, and helpful, and is always on top of what needs to be done every step of the way. Kelley Tassone says that finding dream homes is the easy part — but her passion lies in walking her clients through the complex details of selling, purchasing, negotiating, and financing a home. 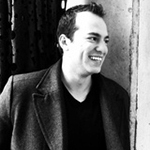 Tassone offers a high level of customer service, and is attuned to every client’s real estate needs. She uses technology to offer the best blend of services available, and boasts excellent results for every client. Clients of Tassone’s rave about her whether they’re buying or selling, saying that they feel she is always one step ahead of them and always had their best interests in mind. Plus, they say everything moves quickly with Tassone, as she is fast at answering questions and helping them find homes. A resident of Spring since 1986, Michelle Cannon knows better than most the market, neighborhoods, and details of the area. 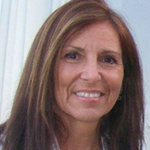 She is the broker and owner of Cannon Realty and Associates, as well as a wife and mother of three. She makes it her job to ensure that her clients find the right neighborhood and school system for their needs, and offers expert support as her clients make big decisions about real estate. Cannon prides herself on offering honest, superior service for the entire transaction with open communication and strong negotiation skills. 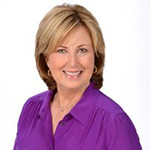 Her accreditations include Accredited Buyers Representative, Certified Residential Specialist, Graduate Realtor Institute, Accredited Luxury Home Specialist, Certified New Home Specialist, and Short Sales and Foreclosures Resource Certification. Her clients, from first time home buyers to sellers, say she is wonderful with answering their questions, keeping deals together, and excellent with communication. With more than 11 years of experience in real estate, Veso Kossev brings a wealth of knowledge to every real estate transaction. He makes it a point to put his clients first by quickly responding to their needs, being accessible, communicating, and listening. Kossev also works to ensure that he is a savvy marketer, effective negotiator, knowledgeable market expert, and part of a high quality professional network. Clients say they can’t recommend him enough, as he knows the area well, and understand what his clients are looking for. For many clients, Kossev becomes more than just a Realtor — he becomes a friend with valued advice! 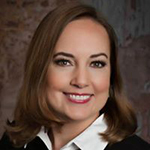 Leader of the Kink Team with nearly 25 years of experience in real estate, Diane Kink is an expert in north and northwest Houston real estate. She is committed to understanding her clients’ needs and responding to them promptly, while providing clients with sound real estate advice. Kink understands that real estate relationships are built on trust, and is careful to protect the privacy of her clients during and after every transaction. Kink and her team offer a commitment to exemplary personalized service by listening, hearing, and truly understanding every client’s needs. Clients appreciate how helpful Kink and her team are at selling and purchasing homes, even with very specific criteria. They say she does an excellent job finding exactly what they want, and is an incredible negotiator. 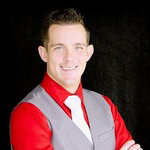 Leader of the Chris Wylie Team, Chris Wylie has been a licensed Realtor since 1989. She is a native Houstonian, and has an excellent knowledge of not just Spring, but the entire Houston area. She actively works to expand her knowledge through continuing education, and helps her clients make informed decisions whether they are buying, selling, or building a home. She recognizes the emotional experience of buying and selling homes, and reminds clients that is more than just writing a contract. Wylie’s real estate designations include Accredited Buyer Representative, Certified Residential Specialist, and Graduate Realtor Institute. Wylie’s clients say that she takes ownership of worrying about the details and exceeds their expectations for service with a down to earth and honest approach. Plus, they say she has a great positive attitude and extensive experience in the Spring area. 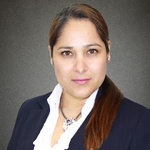 Andrea Saavedra is an excellent real estate professional to have on your side. She isn’t just a real estate agent, she is a loan originator, and has a unique experience that helps her support her clients not just in the buying and selling process, but in the financial transaction of real estate as well. In addition to excellent financial knowledge, Saavedra offers an excellent level of expertise that helps her clients understand every step of buying and selling their homes. She loves the gratifying feeling of helping people meet their real estate needs, and offers honesty, trustworthiness, and incredible knowledge in the real estate market. Saavedra’s clients say she is a pleasure to work with, offering honesty, sincerity, and dedication — as well as fast sales with great prices. A real estate professional since 2004, Boris Ackerman has more than 11 years of experience and over 1,000 real estate transactions. He boasts close connections with builders in the Spring and Houston area, and is always able to provide his clients with the best deals. Ackerman can also help with the loan process, whether you’re just getting started or approaching closing. He is especially experienced with assisting clients as they relocate to the Spring area, and Exxon employees in particular. Ackerman’s clients appreciate his helpful, honest advice and expert opinion. They say he has helped them find the right homes for them, and works to get the job done right while he answers questions and offers his support as a real estate professional.